When 8-year-old Itzik first met Shimrit, his mentor, he was so shy he could barely look her in the eye. But after three years of working closely with her, Itzik’s confidence grew tremendously. He’s now active in school, and much more willing to reach out to family and new friends. Shimrit was paired with Itzik through Youth Futures, a flagship program of The Jewish Agency for Israel, a Federation partner agency, and its Family Futures initiative. 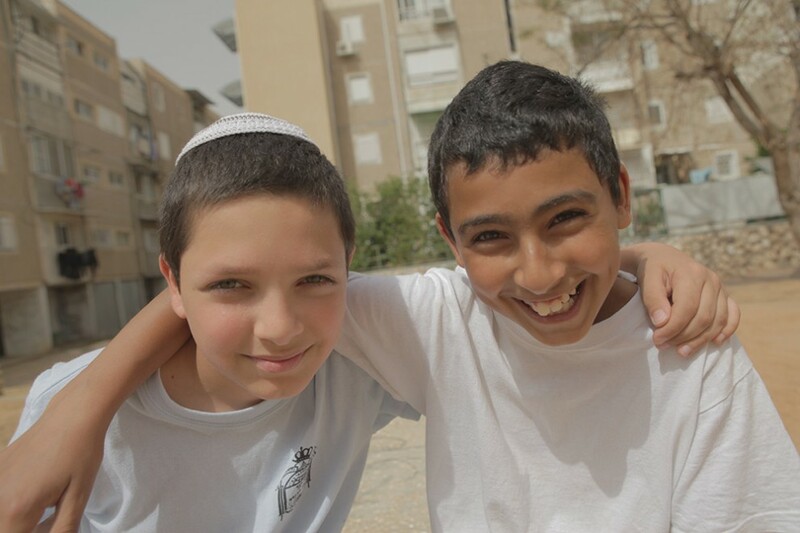 Youth Futures’ staff provides community-based mentoring for at-risk pre-teens and adolescents across Israel. During the 2014-15 school year, 350 mentors worked with 5,000 students and their families in 35 communities. The need for Youth Futures is high in Sderot, where Itzik lives. The desert city is a target of frequent rocket attacks from neighboring Gaza, and many residents suffer from PTSD. Sderot also has large immigrant populations, particularly from North Africa and Russia. Many adults work long hours in factories for low pay, meaning less time at home. That’s where Youth Futures comes in. Each mentor meets with 15 individual families each week to discuss ongoing familial, economic and social issues. They also help with personal finance, parenting and relationship skills. “Our mentors are there in addition to their parents,” says Noa Barkley Asher, local director of the program. Iztik’s family came to Sderot from the former Soviet Union, and they have had a difficult time adapting to life in Israel. So while Shimrit helps Itzik with his schoolwork, another mentor works with Ludmila, his mother, on strategies for communicating wants, needs and boundaries with her husband and children.